Here’s a quick and simple tip to help you increase your Instagram engagement today! It’s no secret that Instagram is the social media giant of our day. And most bloggers and social media influencers love to get more eyes and more engagement on their posts. I sure do! 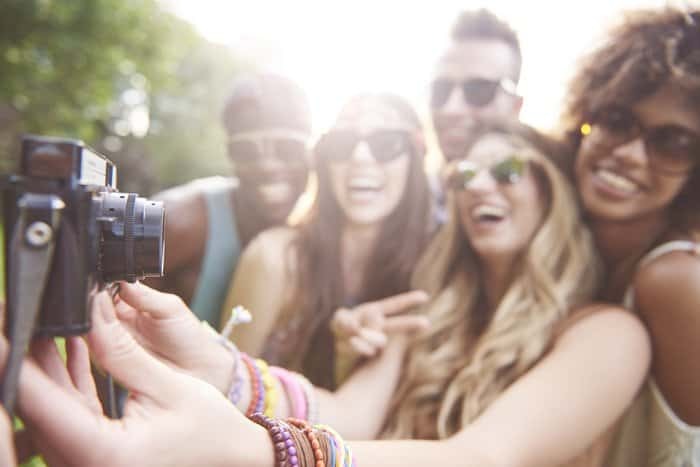 It’s a quick and easy thing you can do to boost your Instagram engagement right now, and it’s something that not a lot of people know about or talk about. And I can’t believe it! I’ve tested this Instagram strategy over and over again… on several accounts… and it just works. I’ll explain WHY in a moment. You need to have a few simple things in place before you can truly maximize on this engagement strategy. Don’t get me wrong, you can implement this strategy today and still get results. But you’ll get MUCH BETTER results if you set things up properly! Here are the things you should have in place before you start working on it. We won’t go into heavy detail about them, but we’ll touch on each one: your target audience, your Instagram profile, and your content. When you’re using Instagram for your blog or business, it becomes a marketing tool and a space for community among your target audience. It’s more than just cute pictures of your kids or what you ate today (although those things might have their place in your content strategy). To use this tool properly, you need to have a target audience in mind and you need to figure out what kind of content THEY like to see on Instagram. Of course, this content should still be about you, your brand, your mission etc. But it should be enjoyable to your target audience. So, the first thing you need to have in place is an audience. Or at least an idea of what kind of audience you’d like to have following you. If you already know who your audience is and what they want from you, this part becomes a little easier. Use your Instagram profile to introduce yourself to your audience and let them know what they’ll find when they follow your account. Your characters are limited, so keep it short and sweet! Your Instagram Username and Profile Header are the ONLY searchable areas in your profile? Use these two sections to optimize your account with words your audience might be searching for! You need to have a plan on Instagram. Just posting random pictures in a willy-nilly fashion won’t get you anywhere. Sharing content that resonates with your audience will be key. So, plan a content strategy that gets great new stuff in front of your audience on a regular basis! Stuff that they can enjoy and engage with. And before you even try to implement my Instagram engagement tip, make sure you have several cohesive images on your account. At least 15-20 images is a good place to start! This lets people know that you aren’t a spammy account, because you have plenty of real content on your page. Once you have those three things in place, it’s time to go to town! This tip works best when you use it on the days that you actually post a new Instagram picture. But you can use it at any time for a quick engagement boost. HOW you engage and WHO you engage with is what really counts. And that is what will lead to more engagement on your own account in response. Let’s talk about who to engage with first. Who you’re engaging with on Instagram really matters. There are a few different groups of people you should engage with, and we’ll touch on all of them. The people you engage with are the people that will get notifications about YOU, and in response, they just might head back to your account to see what you’re all about. First, engage with your target audience. The people that you want to have following YOU. Second, engage with the leaders in your industry. Comment on their posts and engage with other commenters when the occasion calls for it. Third, engage with top trending hashtags in your niche. Select a few of the hashtags that you are using in your own posts. Click those hashtags, and then like and comment on a few of the top performing posts under that hashtag. Now that we know WHO to engage with during that first 60 minutes after we post, we need to talk about HOW to engage with them. Because people only like to see GENUINE engagement on their posts. Meaningful, supportive, deep engagement is what we’re talking about here! Don’t just like a bunch of random posts or leave heart emojis all over the posts of the people you are following. Instead, find a few people in each of the categories we spoke about above, and connect with their latest post on a personal level. READ their caption, like their photo, and then comment with 1–2 meaningful sentences. Side note: I still go through my following list and try to engage with people regularly, but that isn’t necessarily part of this strategy. I told you at the beginning of this article that I was going to explain WHY this simple strategy actually works. When you engage with others on social media, many of them will engage with you. And when people see your thoughtful comments on other people’s posts, they take notice. If you want to get engagement, you have to give engagement first. To prove that my theory works, I posted a picture today, and implemented my own growth tip for an hour after posting. I took a snapshot of some of the engagement that I got during that first hour. In one hour, I got over 60 likes, 3 new followers, and 26 comments. Now granted, I have been implementing this strategy for awhile and Instagram recognizes my behavior and rewards me for positive engagement… but it can be the same for you too! Every time you post something on Instagram, you have to proactively work to get that post in front of people. You can do this through paid ads, or through your own organic reach (which is free). I always recommend mastering the organic reach first, before venturing into paid advertising. Instagram can be a powerful marketing tool if you learn how to use it properly! So try this simple tip for a few days and then let me know your results. I’m excited to hear your experience! If you found this post helpful, be sure to pin it for later!! 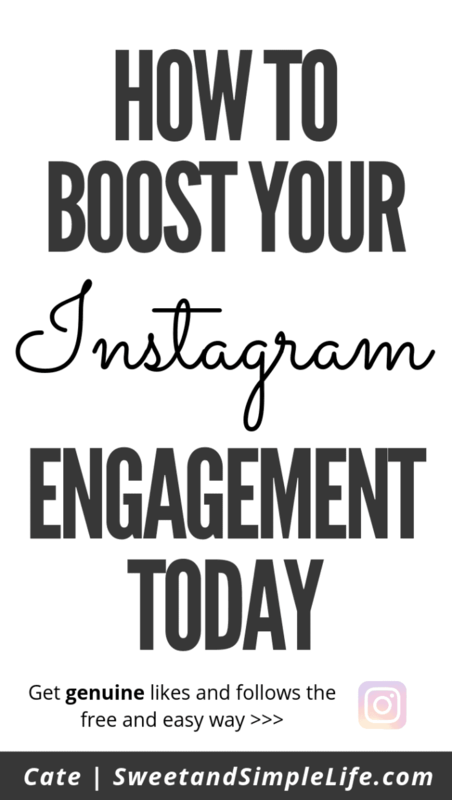 This is an interesting tip to boost engagement on Instagram! I got a similar advice from Amanda of Plushco, and I was amazed by the response. Though, I’m a little inactive on Instagram these days but I am surely going to try this one and see how much it affects the overall engagement! Am I understanding correctly, that the timing of the engagement is crucial? Specifically the 30-60 mins right after I post? Would it not work as well if I waited until later that day to engage? It’s best to engage with your audience when they are active online (which you can find in your Instagram analytics). Anytime you engage on Instagram is a good thing, but if you want to maximize the engagement on YOUR latest post, engage with others right after you post it 🙂 I hope that makes sense! I am so excited about this! Pinned! Amazing tips! I do something similar and have found heaps of growth and engagement recently! Awesome, love that feedback! Such a simple thing but it’s overlooked by so many!